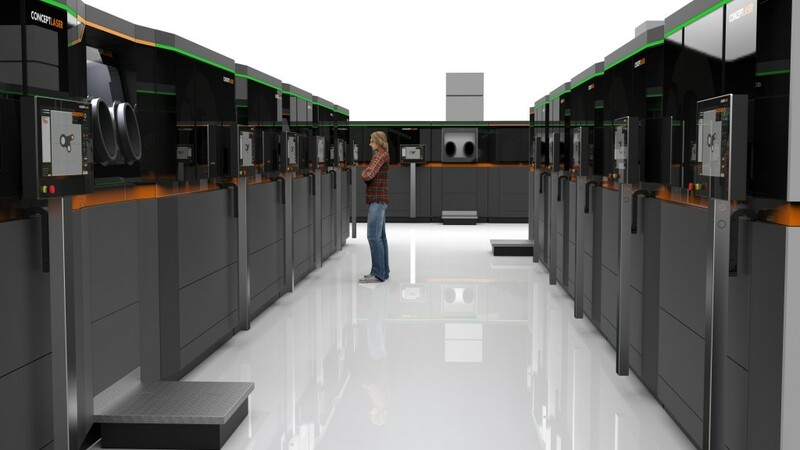 BY DAVIDE SHER – While the consolidated (and gigantic) tooling machine industry has been focusing on a fully automated process which produces a final part through multiple robotic tools (including AM by laser deposition), the young 3D printing industry is looking ahead to a fully automated factory, capable of producing not just one piece, but several hundreds, even thousands: digital serial manufacturing. This type of manufacturing is still about producing large quantities of pieces, only each one of those pieces will be controlled digitally, bit by bit, pixel by pixel, voxel by voxel, and piece by piece. In a way, this trend is like going from analog TV, where each dot on the screen was part of a set picture, to a digital one, where each pixel can be controlled, moved, turned on and off and even interacted with. This digital factory needs the precision that can be reached only by powder-bed metal-fusion additive manufacturing. The machines capable of doing this have already been developed and built. They are going to hit the market sometime next year. This is the first, and possibly the biggest hint, that the AM factory of the future is soon going to be reality. 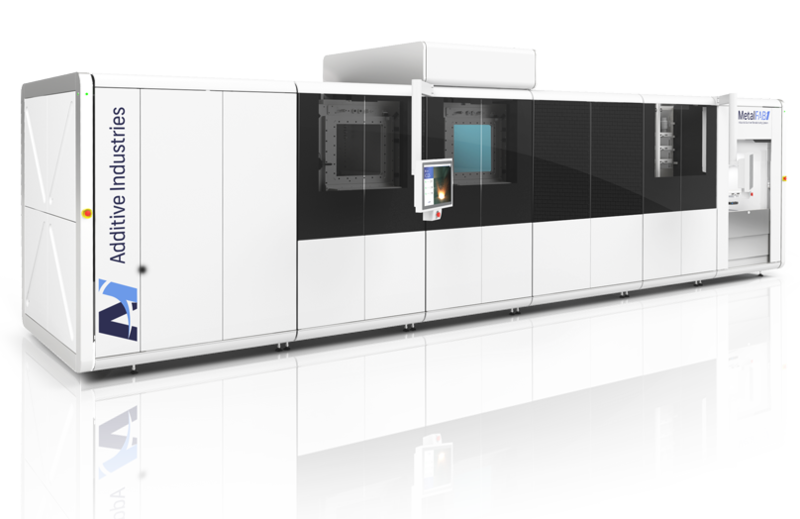 Although approaching it from very different angles, both industrial metal 3D printing leader Concept Laser and newcomer Additive Industries presented new machines that act as modular, fully-automated systems for serially producing parts. These parts still need to be finished by external robotic or manually controlled systems, however the course has been set to add a new level of automation to laser metal 3D printing. The main difference is that, in the Additive Industries system, the automation (powder management, part cleaning, platform removal, storage) takes place inside the machine, while in the Concept Laser system, it is supported by external robotic platforms that move throughout the digital factory space. The subsequent post-processing would take place in a way similar to that described by Renishaw, with the AM part gradually moving through a measuring and milling systems cycle. The second hint that the digital factory is coming is that the software to make it possible, through more accurate virtual factory manufacturing simulations, is ready. formnext showed us the potential of Autodesk Within for designing parts that can only be produced through powder-bed AM, however it also showed us how software is going to get that part actually manufactured. One of these pieces of software is 3DSim, a software designed to provide unprecedented insights into the metal 3D printing process, which we have covered many times before. 3DSim basically created the fastest framework for solving the multi-physics/multi-scale simulation problems of 3D printing. At formnext, we also discovered GeonX’s Virtual Factory, a software designed to provide engineers with the ability to analyse the influence of process parameters before making prototypes, allowing the economic assessment of the what-if-scenario. Finally, software like Polygonica, also present at the recent formnext, are making solid 3D modeling more accessible. The third and final indication that the digital factory is coming is that… it already exists. GE Avio Aero, in Italy, is possibly one of the clearest and most advanced examples, with its batteries of Arcam EBM and EOS DMLS machines, an internal metal powder atomizer unit, and several integrated systems for full automation. However, Avio Aero was just a solitary example until a short while ago. Now, more digital factories are appearing. One in particular was announced at formnext and is opening up in Germany. 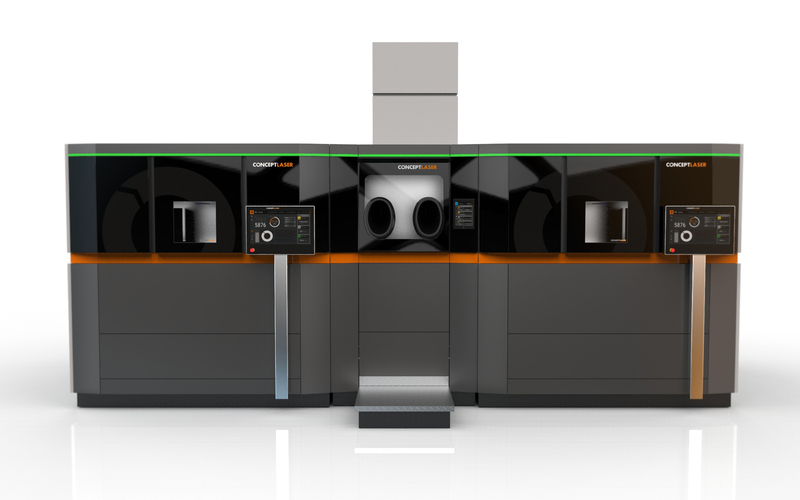 It is called Bionic Production, a spin-off of the Lazer Zentrum Nord, and it is ready to begin production with several metal 3D printers by SLM Solutions, Concept Laser and EOS.